So I have this thing where I don't really know as much about the girl groups/female artists in K-pop. Perhaps it has something to do with the fact that I find the male groups more appealing, but who really knows. So as a homework assignment to myself (and because there are some female artists I already love) I figured I would make a post about only female artists. What a great song?! And I LOVE the music video! It's just cool. I just the space-whale-running-light theme it has going. I also really like that it's an upbeat-hopeful-love-confession. I dunno, it's just a happy, awesome song. This is from her new album Supersonic, and I know that I said it was a ladies only post, but Younha sings a great duet with John Park called "You're Here" and it's also great. So um, I like this MV because it has Kim Hyun Joong being all adorable in it (and the ex-girlfriend from My Name is Kim Samsoon - but I also really love this song. Gummy (which means 'spider' in Korean) has a really lovely voice. This is probably the first song I heard of hers (back when I first got into K-pop), and I've loved it ever since. The lyrics are great too because they express I think a fear many of us have - becoming too clingy in a relationship/we are afraid the other person won't really love us as much as we love them, and that one day they'll leave us. So I am sure that you've heard LYn on an OST somewhere along the line. She often does ballads, and I really like a lot of them. This one is a little different though, it's a little more upbeat and has a sort of jazzy-Michael Bublé-esque feel to it. The Engrish -meh, but I haven't let that distract me yet from the awesomeness that is K-pop. The main sentiment of the song - love me for me - I think we can all agree that's what we want. And she has a great voice for the jazziness. This was my first ALi song - and I fell in love with it. Her voice is just gorgeous - it's got so much heart and soul in it. If you were to explain to a non-K-pop person what her voice quality is like, you could say she sounds a little like the Korean Adele. And interestingly this song has a similar theme to Adele's Someone Like you - it's about love that has been and gone, and wondering why because they were so in love. ALi is pretty awesome - check out all her stuff. Okay, this song is just plain fun. It's got a great beat, it's sassy, and has a nice girl power feel to it. I don't know Miss A super well, but they have a fun sound, and I'll probably try and get into them more. Suzy is the group member that most people know because of her work in drama and film (she's definitely getting better). Something that's interesting about the group is that two members are Korean (Suzy and Min) and two are Chinese (Fei and Jia). IU is a great artist, and I don't mind her more recent bubble-poppy stuff, but I much prefer her original songs, or the earlier more serious, non-mainstream image and music she was doing. So that's why I chose Lost Child. Another great one is Only I Didn't Know. Lost Child feels like a painting, or being lost in a fairy tale, and her whimsical voice just complements the idea so well. 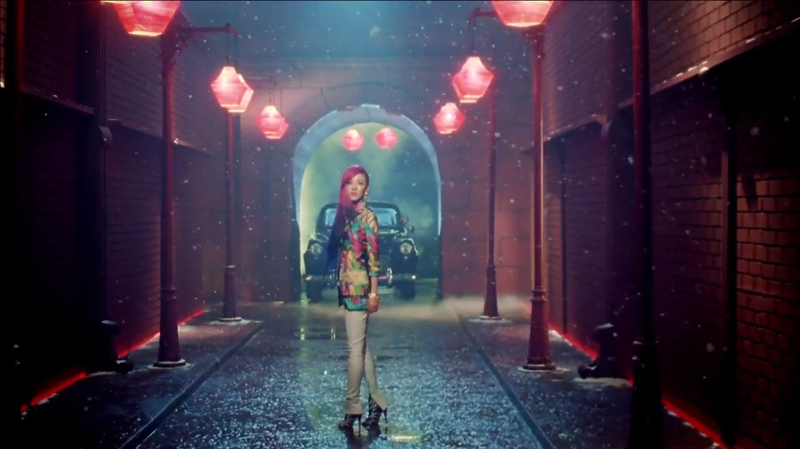 I also really love how the MV never really focuses - it's all distorted and dream like. (Beware, the naked people in the forest are a tad creepy). This is most definitely one of my favourite IU songs. This was one of my "stumbled upon" finds - you know when you're browsing through K-pop videos, and Youtube suggest videos? Well, I fell in love with this song - it's got a great tempo, Eunjeong's rap is great, the MV is cute, and their voices are daebak! Yeah, the lyrics are part of that good ole' romantic kind, but hey, we all want some twu wuv and womance, right? Lucia is one of my favourite female artists, one thing I really love about this song is that we have Lucia's voice juxtaposed on a man's face - it creates and interesting contrast. I also really love the seascape, and the muted tones and colours of the MV. I couldn't find any English subtitles, or any English lyrics translations...sorry folks. Maybe someone can help? It's a really beautiful song, whether or not you can understand all the words. ◀ Gaksital Episode 17: Musings et al.